I love the painting, great bright colors. Highly recommend!!!! This Digital Photo Print is created whereby an image is digitally printed directly onto premium canvas using a large format printer. The Artwork is then beautifully mirrored around the edges and professionally hand-wrapped around sustainable polystyrene solid stretcher bars. 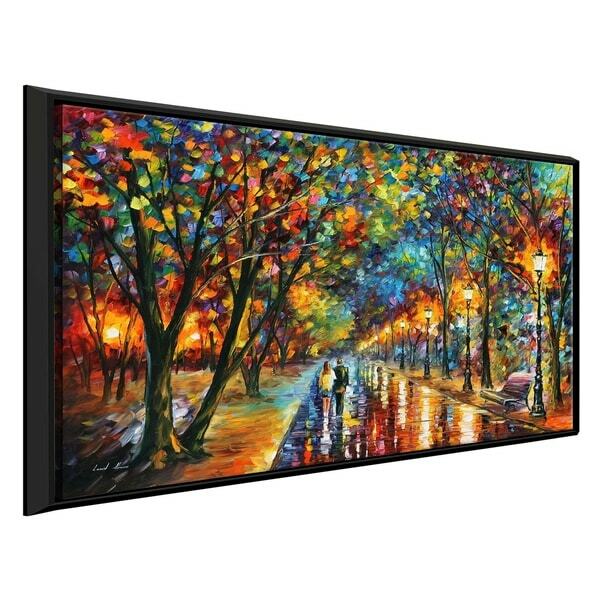 The Gallery Canvas Wrap is then mounted into a Floating Frame with a 2" depth from the wall. This artwork has been reproduced from the artists' original piece with written permission. This product will be custom built for you. Please allow 10 business days for the product to leave our warehouse. Dimensions 51.5 In. X 2.0 In. X 31.5 In. Very vibrant color. I like the floating frame, which increase the profile and depth of the painting from the wall. Overall very elegant looking!